As 2018 draws to a close we’ve been analysing our project proposals and reviewing the many exciting construction schemes we’ve been involved in this year. We’re thankful to say that we’ve had a year of growth with a 50% increase in the number of enquiries received with an almost 40% increase in the average value of projects that we’ve put our hands to. However, somewhat alarmingly, over 40% of the projects that we’ve been involved in have been over the client’s expected budget and have therefore resulted in a lot of post-tender value engineering of schemes, and too many potential clients who’ve had the unnecessary and agonising experience of postponing or cancelling their proposed projects. It begs the question – how do these schemes get to this point? It’s amazing how many tender packages are sent out with very unrealistic expectations about what can actually be delivered with the limited budget. It has become apparent on some schemes that they’ve been progressed to tender stage without there even being so much as a conversation between architect and client in relation to the available budget. So many expectations are sky-high – but the corresponding funds are at rock bottom. Construction projects, by their very nature, can be burdensome, both financially and logistically. Yet a project’s success often hinges on creating and sticking to a comprehensive budget. If you are budgeting for a project, as a homeowner, business owner or shareholder, you must ensure that your plans match your funds at the very start of the project. And doing so will help avoid nasty surprises further down the line. Setting a realistic budget comes down to a great working relationship between you, your architect and your building contractor. 1: The first step is understanding clearly what is essential to your project. Understanding what is a show-stopper and what is a nice, decorative frill is essential – because it’s surprisingly easy to lose sight of this as the project develops. This is true for all projects. If your goal is to extend your home to gain a larger lounge, a bigger kitchen to entertain in and two more bedrooms, you need to ensure that your budget and plans can deliver on this. Likewise, if you are developing your care home to incorporate a further twelve bedrooms, you need to ensure your budget will deliver better profits as well as a higher standard of care. And if you’ve purchased dis-used office space and are looking to obtain permission to transform this into twenty-five apartments, you need to balance your outlay with your expected returns and required finish for the development’s target market. 2. The second step is communicating your ideas, your deadlines and your budget clearly to your architect. Your architect will bring your vision to life – but ensuring this matches your priorities relies on finding an architect who understands your goals and is prepared to work within your constraints. Our advice on choosing the right architect for your luxury home project holds equally true for property developers and care home owners alike. We’re also happy to recommend architectural firms who we have worked with in the past. We can guide you to practices who match your project, fit your budget and who we think will gel with you personally. 3. The third step is to review your plans. Once your architect has drawn their initial scheme make sure they include a detailed budget that suggests exactly how much this project is likely to cost. At this stage, if things are drifting over budget it’s time to return to your founding principles. Ask yourself, does this achieve what I wanted, and are there aspects I can compromise on to still achieve this and set a more realistic spend? Work with your architect to value engineer the project and tweak the design until your budget can be met. If things at this stage still seem very tight it is worth involving a quantity surveyor (QS) to achieve as detailed an estimate of possible costs as possible. You now need a contractor who is willing to work with you to carry out the project within your set budget. This will ensure that you realise your dreams without the disappointment of your project having to be scaled back or put on hold while you raise the extra funds necessary for completion. Although your contractor may seem to be the final piece of the jigsaw, we have found that the smoothest projects are achieved when constructor, architect and client work together as early as possible. 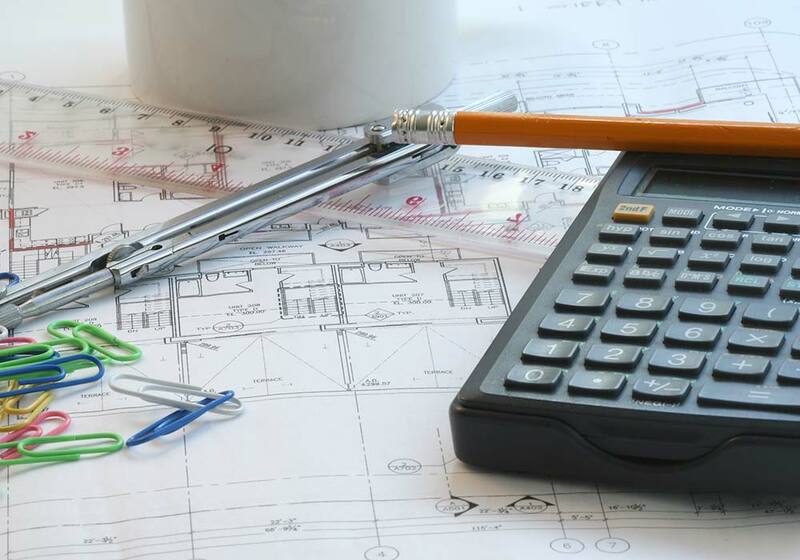 If you’re looking for advice on creating a realistic budget to achieve your next construction project, give us a call on 01483 756575 for advice and help from the very start.